McPixel: Oh The LOLs You Will Have. Taking a fresh approach to a long running genre is no easy task, especially in something as well established as the point and click adventure. I’m something of a fan of this particular genre (mostly because I grew up on them) having reviewed 4 titles in this particular category in this year alone. 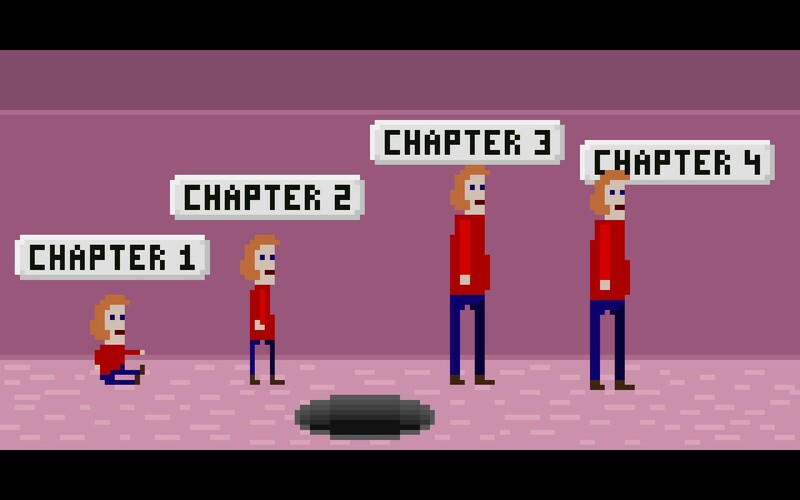 McPixel then, whilst fitting the basic requirements to be called a point and click adventure, feels like its in a category in all of its own thanks to its rapid place and numerous and often quite hilarious ways you can fail a particular section. 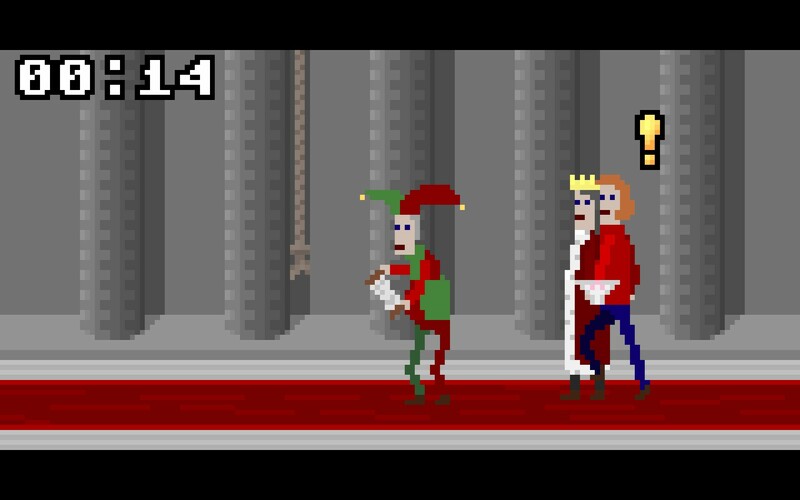 Suffice to say that McPixel isn’t your run of the mill indie game. You are McPixel, a slightly overweight man who’s given the job of saving the day in dozens of situations, all of which involve a bomb of some sort that will explode in less than 20 seconds. You’ll visit all sorts of environments ranging from the mundane like shopping centres and people’s houses to the fantastical, including choice locations such as a giant butterfly and various spacecraft. There are no second chances in McPixel either and should you click the wrong thing at the wrong time or in the wrong order you’ll find your surroundings blown to pieces and you’ll have to restart from the beginning again. 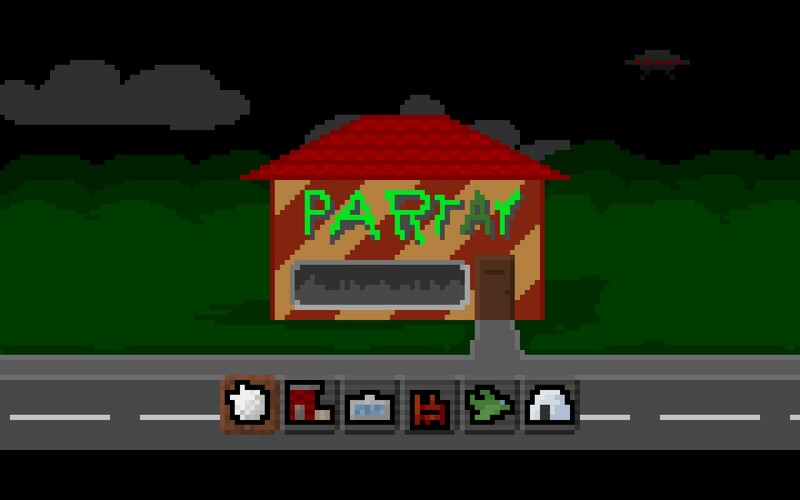 McPixel’s pixel art graphics are pretty rudimentary but I feel that’s part of the appeal. Whilst there’s been many games that show just how much you can do with pixel art style graphics McPixel’s are far more reminiscent of those which I grew up on and the ones that my friends and I tried fruitlessly to replicate within MSPaint. The crudeness just adds to the hilarity when McPixel does something that you can’t represent that well with such a simplistic medium and he ends up doing something that you can recognize but also get horribly confused by at the same time. McPixel’s game play takes the form of a pretty simple puzzler in which you have to find the right way to defuse (or nullify in some way) a bomb that’s set to go off in 20 seconds. There’s only one “right” way to do this and whilst some times it will be the obvious answer like stepping on the fuse most of the time it will be some completely unintuitive answer that either involves you thinking in a decidedly random fashion or happening the solution by complete accident. Should you get the solution wrong you’ll be exploded in a blaze of glory and moved onto the next puzzle. You’ll come back around to it eventually which requires you to flex those memory muscles in order to not make the same mistake twice. The bomb locations aren’t always obvious and it’s more than likely that you’ll spend a couple tries on particular puzzles just figuring out where the bomb is and which of the solutions doesn’t work as intended. This is part of the fun though as the non-working solutions usually fail in some hilarious and incomprehensible way, leaving the area around you devastated (although McPixel is usually fine, strangely enough). These jokes are actually part of the game play as once you find all of them in a particular section you’ll unlock yet another section that you can play through. 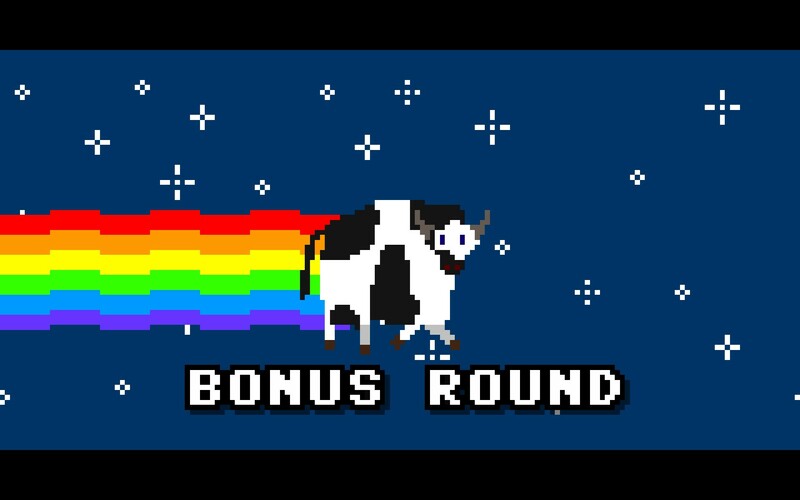 Should you manage to successfully solve 3 puzzles in a row you’ll be treated to a bonus round which apparently takes place inside a Nyan Cow. I believe the bonus round is the same puzzle every time (from what I can recall it was the same in the 2 times I managed to get it) and I couldn’t for the life of me figure out what the solution was. Considering that most of the later puzzles took me a couple tries just to understand fully what was going on it’s not surprising that I didn’t manage to solve it, especially considering how bizzare it was. The weird randomness that’s woven throughout McPixel’s many jokes is where all the fun comes from. I can’t tell you how many times I went to do something that I was pretty sure of what the outcome would be only to be hilariously surprised by the result. The humour isn’t for everyone, especially for those that find crude/rude humour boring or unfunny, but I definitely found a lot to like in the 100+ panels that I played through. There were many, many sections that had me laughing out loud at the sheer ridiculousness of it all, even towards the end when you’d think the jokes would start to get stale (they don’t, so long as you heed the warning at the start of the game). It’s also a pretty bug free experience as I didn’t encounter any crashes or game breaking bugs. There was one particular section where things got a bit weird however which I haven’t been able to find out if anyone has had the same issue. In the elevator selection section you can choose from one of three sections by clicking on the elevator buttons. However when you hover over them, which you do to find out if you’ve beaten/played a section previously, it’ doesn’t line up with the sections you’ve actually played through. Hovering over the top button actually shows the “Locked” icon for the bonus section (which is actually the button to the right) but clicking on it will take you to the appropriate section. Nothing major and it was pretty easy to figure out but it seems like it would be a relatively easy fix. 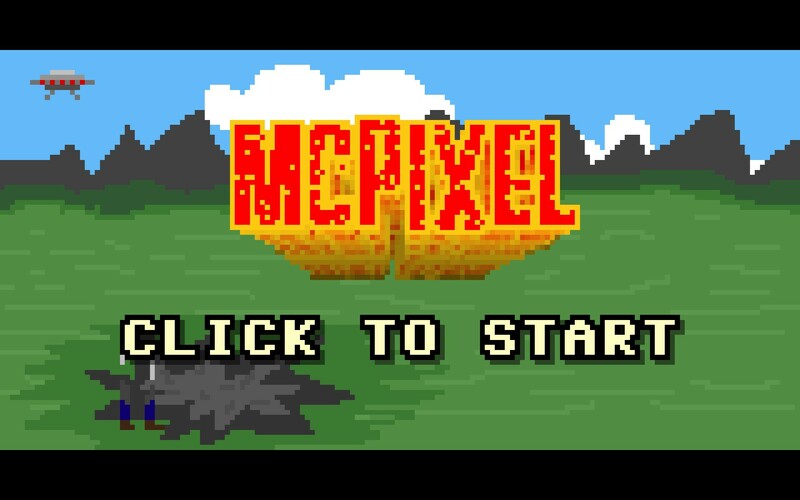 McPixel is one of those little indie gems that comes along every so often that fails to comply to genre specific notions and is simply fun to play. The random, sometimes rude and crude humour was what made McPixel fun to play. This, coupled with the rapid pace and bite sized nature of all the puzzles, makes for a game that’s great just to pick up and play through a section whenever you’re feeling bored or want a break from whatever you’re doing. Considering that its now available on Android/iOS this means you can take it with you wherever you want and you can be assured that you’ll still be playing it for a long time to come thanks to the built in level editor. McPixel is available on PC, Android and iOS right now for $4.99, $2.99 and $2.99 respectively. Game was played entirely on the PC with around 1.5 hours of total game time.